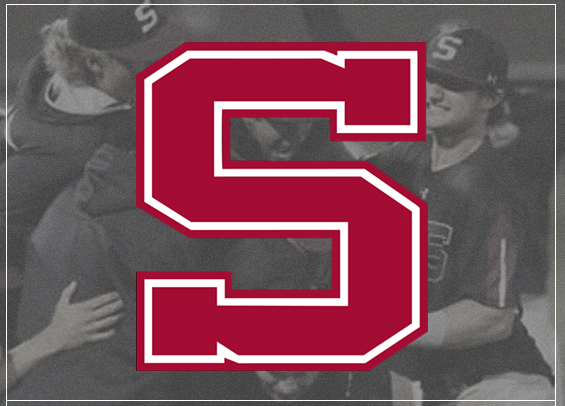 Swarthmore College pieced together an outstanding season last year, reaching the NCAA Division III World Series for the first time in program history while securing a Garnet record 38 wins. The club opens this season as a favorite to repeat as champions of the Centennial Conference and returns Third-Team All-American senior starting pitcher Ricky Conti along with five other All-Conference honorees from a year ago. "This group is grounded and they just stay in the moment," said head coach Matthew Midkiff. "Expectations are high, but baseball isn't their only focus and that helps." Conti, who doesn't touch much higher than the mid-80s on the radar gun, relies heavily on a plus two-seamer and isn't afraid to pitch inside to gain an advantage. "His heart and guts, they stand out for sure," said Midkiff. The right-hander and California native finished 12-3 last season while posting a 2.60 ERA over 93 1/3 innings. Behind Conti, Midkiff expects left-handed juniors Sawyer Lake (6-1, 3.42) and Ryan Warm (4-0, 3.93) to round out the weekend rotation. At the plate, Swarthmore's depth is a major advantage. "It's tough for a pitcher to go through this lineup two or three times," said Midkiff. "We jumped ahead early a lot last year and that's mostly due to our good team approach." The Garnet hit .312 as a team last season and scored nearly 200 more runs than their opponent. The offensive attack again will be led by senior Jackson Roberts (.399, 10 homers, 48 RBIs), senior Charles Levitt (.344, 9 homers, 41 RBIs) and junior Cole Beeker (.361, 7 homers, 65 RBIs). "Beeker has perhaps the highest baseball IQ of any player I've been around," said Midkiff. The Garnet are ranked No. 3 in College Baseball Newspaper's 2019 Preseason National Poll and No. 7 in D3Baseball.com's Top 25 Preseason Poll. The club opens the 2019 season with a doubleheader at home against New Jersey City University on March 2.